Deputy Director in Institute of Information and Communication Technologies of the Bulgarian Academy of Sciences on e-Infrastructure and security. Previously 2009-2017 working in the NCI Agency as Director Demand Management. In 2014 was a Minister of Defense and in the period 1998-2001 Deputy Minister of Defense. Has experience leading sector and section in Defense Institute and in the Bulgarian Academy of Sciences, Adviser to the Chairman of the Academy of Sciences. Change management and IT governance / management specialist, combining governmental experience with sound theoretical knowledge and background in operations research and security studies; Specializing in security sector reform, primarily from organizational management perspective and use of IT; Considerable expertise in leading and participating in national and international research and change management teams. Member of the Editorial Board of Information & Security: An International Journal, Chairman of George C. Marshall Association – Bulgaria, and member of the AFCEA Sofia chapter. Participates in the Consultative council on effective, efficient and cyber resilient management of IT resources to the Chairman of the Academy of Sciences and the Consultative council on institutional change management in the UNWE-Sofia. Dr. Shalamanov combines expertise in research and higher education, practical experience in the development and implementation of security and defense policies, and large national and international C4ISR projects. 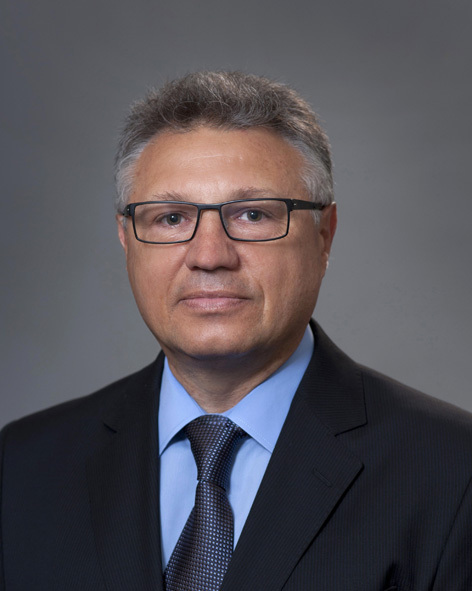 In the period 2009-2017, Dr. Shalamanov is a Director Demand Management at the Agency for Communications and Information (NCI Agency), where he manages a C4ISR portfolio for more than 30 countries and 15 organizations worth more than 1 billion euros a year. In 2014, he is the Minister of Defense and is in charge of developing the Vision “Bulgaria in NATO and European Defense 2020” for participation in the NATO summit in Wales and the first National Rearmament Program adopted by the Council of Ministers. Currently Dr. Shalamanov is Deputy Director at the Institute of Information and Communication Technologies on e-Infrastructure and Security. He participates in the Consultative Council of the Chairman of the Bulgarian Academy of Sciences on effective, efficient and cyber resilient information resource management and the University of National and World Economy’s Consultative Council on Institutional Change Management. In 1984-1998 as an officer he was engaged in research, development and management tasks in the Bulgarian Armed Forces (mostly in the C4ISR Research Institute of the General Staff as Head of the New Information and Management Technologies Section and the Military Intelligent Systems and the HQ of the Land forces). Since 1998 for 3 years, Dr. Shalamanov has been Deputy Defense Minister for Defense Policy, Planning and Euro-Atlantic Integration, where he has been leading the development of the First Military Doctrine, the 2004 Reform Plan and the Membership Action Plan as well as a number of studies , incl. the largest C4ISR study in Bulgaria. After leaving the government in 2001, he joined the Bulgarian Academy of Sciences (BAS) as a national security and defense advisor to the Chairman of the Bulgarian Academy of Sciences and the Director of C4ISR at the Center for National Security and Defense Research (2001-2006) y). In 2004 his scientific career continued at the Institute for Parallel Processing of Information, which is currently part of the Institute of Information and Communication Technologies, where he founded and became the first head of the C4ISR section (currently Security Information Security). During the interim period he served as assistant director of international relations at the Space Research Institute, which is also part of the Bulgarian Academy of Sciences. As Deputy Defense Minister from 1998 to 2001, Dr. Shalamanov is a member of the Security Council, the Council for Integration in NATO, the Council of the Information Society of the Government of the Republic of Bulgaria. In the period 1999-2001 Dr. Shalamanov is a member and Chairman of the Board of Directors of holding company Terem SHC. In 2000-2001 he represented Bulgaria on the Board of the Geneva Centre for the Democratic Control of Armed Forces (DCAF) as a co-founder, and from 2002 to 2012 he was a member of the DCAF International Advisory Board. Since 2013, he has been a member of the Implementation Committee and the Board of Directors of the International Association of Communication and Information Systems and Intelligence Professionals (AFCEA Int - Washington). From 2007 to 2009 Dr. Shalamanov is a member of ESRIF (European Security Research and Innovation Forum). From 2002 till 2009 he taught a Security Sector Reform, Crisis Management and European Security Architecture courses at the Faculty of Philosophy of Sofia University and at the University of National and World Economy. In the same period as Chairman of George C. Marshall Association – Bulgaria he initiated / managed more than 20 projects in the area of security policy and security sector reform, C4ISR architectural approach. In the period 2007-2009 Dr. Shalamanov was Vice President of Winbourne & Costas Management Consulting Inc. (US) and General Manager of Winbourne & Costas – Europe working on several USTDA funded projects in Eastern Europe. Senior Researcher (Associate Professor) in Automated Control Systems since 1998. M.Sc. in Operational Art: Intelligence and EW, “G.S. Rakovski” Defence and Staff College, Sofia, 1993-1995. PhD in Cybernetics, Kiev Higher School on Air Defence (KVIRTU) and the Institute of Cybernetics, Kiev, 1988-1991. M.Sc. in Radioelectronics, Air Force Academy, Dolna Mitropolia, Bulgaria, 1979-1984. Dr. Shalamanov has considerable experience in developing and managing the implementation of security and defense policies, organizational design, process improvement and change and IT management in large organizations. The first military doctrine of Bulgaria was developed under his leadership and was then approved by Parliament (1999). The doctrine is followed by the first fully implemented Defense Reform Plan (known as Plan 2004), which facilitates Bulgaria's integration into NATO, as well as several studies involving C4 for the introduction of CIOs in the Bulgarian Ministry of Defense. On the basis of Plan 2004, the PPBS system was set up under its leadership, the Defense Planning Directorate, the Armaments Directorate, the Higher Defense Research Institute, NS and the Defense Department and the Interoperability Center at the Military Academy "G. S. Rakovski ", as well as the Situation Center of the Ministry of Defense and the Government Security Council, State Agency for Civil Protection. At the Bulgarian Academy of Sciences he founded a section on C4ISR studies and created a Joint Training Simulation and Analysis Centre through several NATO, EU, USTDA, national and international projects. In the NCI Agency, Dr Shalamanov led the process of change to create a support platform for NATO, countries and organizations in the implementation of interoperable C4SR capabilities in a secure environment, and after 2012 lead the introduction of SLAs and creating a single catalog of IT services in NATO, building a partnership system with consumers and assessing their satisfaction, developing the ” NATO First Solution” model, and participating in the management team for the overall transformation of 5 IT agencies in a single agency for communication, information and cyber defense. Shalamanov, Velizar. "The PfP Consortium as a Change Management and Integration Tool: Ten Years of Experience." Connections: The Quarterly Journal 7, no. 3 (2008): 61-69. Shalamanov, Velizar. Production model of the armed forces In IT4Sec Reports. Sofia: Institute of Information and Communication Technologies, 2008. Shalamanov, Velizar. Methodology for operational analysis of the system for national security and defence, operational analysis of organisational practices on the basis of a set of scenarios for defence planning In IT4Sec Reports. Sofia: Institute of Information and Communication Technologies, 2007. Shalamanov, Velizar. The Security of the Black Sea Region in the Context of NATO’s Expansion: Opportunities for Cooperation In IT4Sec Reports. Sofia: Institute of Information and Communication Technologies, 2005.